This time I would like to announce an Exclusive Giveaway ONLY for SCforum's members provided by our partner Company - . 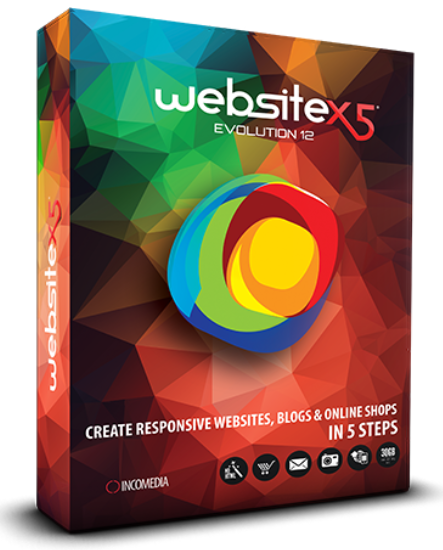 With courtesy of our Sponsor, We have a 5 licenses for "WebSite X5 Evolution 12" - each worth €70. - Choose between 1,000 different templates included in the program or create your own from scratch. - Organize your website structure: your navigation menu will be created automatically according to the sitemap. - Drag &Drop your content: add text, images, videos, a gallery, an e-mail form, lots of new apps, etc. - Customize your website: add a members' area, create a multi-language website, etc. - Publish your website using the built-in FTP engine. I just checked and yours entries are valid. Your entree is also valid. cya again at the end of Month. Yep, you're right... obviously they (our members) doesn't knows, how powerful is this App.